The name of this organization is the U.S. All Star Federation, Inc. (“the Corporation”). The principal office of the Corporation shall be at such place, as the Board of Directors shall determine within the City of Memphis, Shelby County, Tennessee. The purposes and mission of the Corporation are to establish rules for sanctioning and providing governance for cheerleading, dance and spirit-related competitions and events; to provide counseling in the administration of cheerleading, dance and spirit-related competitions and events; and to provide educational and counseling services in the fields of cheerleading, dance and spirit-related competition and events. Act: The term “Act” means the Tennessee Nonprofit Corporation Act, Sections 48-51-101 et seg. of the Tennessee Code Annotated, as presently or subsequently amended, as well as any corresponding successor statues thereto and provisions thereof. Board: The term “Board” means the Board of Directors of the Corporation, except that no person or group of persons either constitute or are members of the Board because of authority delegated to that person or group pursuant to the Charter to exercise some or all of the powers which would otherwise be exercised by the Board. Charter: The term “Charter” means the Articles of Incorporation of the Corporation, together with any amended and restated Articles of Incorporation of the Corporation and Articles of Merger of the Corporation in which the Corporation is the surviving corporation, then currently in effect from time to time. Corporation: The term “Corporation” means the incorporated nonprofit entity referred to in Article I of these Bylaws. Act Definitions. Unless the context in which they are used clearly indicates that a different definition is intended, any terms used in these Bylaws, which are not specifically defined in either this Article I or any other provisions of these Bylaws but which are specifically defined by the Act (whether for general or special and limited purposes), are defined for purposes of these Bylaws identically to the definitions of such terms as contained in the Act, but with any definitions contained in the Act for special and limited purposes being so identically defined for purposed of these Bylaws only for such same special and limited purposes herein. Bylaws Construction. These Bylaws are the code of rules adopted pursuant to the Act for the regulation or management of the affairs of the Corporation. Nevertheless, any conflicts between the provisions of these Bylaws and the nondiscretionary provisions of the Act shall be resolved in favor of and be controlled by the applicable provisions of the Act, and these Bylaws shall be interpreted and construed consistently with the applicable provisions of the Act. Admission of Members. Any person, whether an individual, a partnership, a corporation or an association, who subscribes to the purposes and basic policies of the Corporation may become a member of the Corporation by making application to the Board of Directors, subject only to compliance with the Bylaws. Membership in the Corporation shall be available without regard to race, color, creed or national origin. Annual Enrollment. The Corporation shall conduct an annual enrollment of members but persons may be admitted to membership at any time. Voting. Only members in good standing of the Corporation shall be eligible to participate in its business meeting, or to serve in any elective or appointive positions. Annual Dues. Each member of the Corporation shall pay annual dues to the Corporation to be determined from time to time by the Board of Directors. Annual Meeting. The annual meeting of the membership for the election of directors and for the transaction of such other business as properly may come before such meeting shall be held at such place, date, and hour as shall be fixed from time to time by resolution of the Board of Directors. Notice of the annual meeting will be mailed to all members in good standing at least two weeks prior to the meeting. Number and Qualifications. The Officers of the Corporation shall consist of a President, a Vice President and a Secretary/Treasurer. Any two (2) or more offices may be held simultaneously by the same person, except the offices of President and Secretary, and the same officer may execute, acknowledge, verify and/or deliver any instrument or documents in the name of and on behalf of the Corporation in more than one official capacity. Officers need not be residents of the State of Tennessee, citizens or residents of the United States, or directors of the Corporation. Appointment and Term. Each officer shall hold office for one year or until his or he successor shall have been duly appointed or until his or her earlier death, incapacity, resignation, o removal as hereinafter provided. The officers of the corporation shall be nominated by the Nominating Committee, with the approval of the Board, at least one (1) month prior an annual or special meeting of the Board. The Officers of the Corporation shall be elected by a majority of the Board. Resignation. An officer may resign at any time by delivering notice to the Corporation. A resignation is effective when the notice is delivered unless the notice specifies a later effective date. Removal. Any officer of the Corporation may be removed by the Board at any time whenever, in the Board’s judgment, the best interest of the Corporation would be served thereby. Such removal may be made with or without cause. Vacancies. A vacancy in any office, because of death, incapacity, resignation, removal, disqualification, or otherwise, may be filled by the Board, at any meeting thereof, for the unexpired period of the term. If a resignation is made effective at a specific later date and the Corporation accepts the future effective date, the Board may fill the pending vacancy before the effective date of the resignation if the successor officer does not take the office until the effective date of the resignation. President. The President shall be the principal executive officer of the Corporation, and subject to the Board of the Corporation, shall have general supervision and management over all of the business and affairs of the Corporation. The President shall appoint all committee members, chairmen of committees, and project directors with the approval of the Board; shall preside at all meetings of the Corporation and the Board at which he is present; shall serve as a voting member of the Board; shall plan, develop, and establish policies and objectives of the Corporation in accordance with the Board and the Charter. Number and Appointment. The directors of the Corporation shall be nominated by the Nominating Committee at least one (1) month prior to an annual meeting of the Board. Unless another number is specified in or fixed in accordance with the Charter, the number of the directors of the Corporation, in addition to any individuals either designated as directors of the Corporation in the Charter or in this Section 4.2 of these Bylaws, or designated by any individual or entity authorized in the Charter or in this Section 4.2 of these Bylaws so to designate a director or directors, shall be not less than three (3) with the actual number thereof serving from time to time to be determined, within such variable minimum and maximum range, by resolution of the Board. Tenure and Qualifications. Unless the charter provides for some other term therefore, the terms of the initial directors named in the Charter or elected at an organizational meeting of the incorporators of the Corporation shall expire at the first annual meeting of the Board, and all of the directors (including the Chairman) (except such initial directors) shall be elected at the firstannual meeting of the Board, and at each annual meeting thereafter at which the director’s term is scheduled to expire. Unless the Charter specifies a different term for the directors, the directors shall thereafter be elected for a term of three (3) years; provided, however, that, except for designated or appointed directors, the terms of directors may not exceed five (5) years. The term of directors shall expire at the third (3rd) annual meeting of the Board following their election. Directors may be elected for successive terms. Despite the expiration of the directors’ terms, such directors shall continue to serve until their successors shall have been elected, designated or appointed and qualified, until there is a decrease in the number of directors, or until their earlier death, incapacity, resignation, or removal. However, a decrease in the number of directors or the term of office shall not shorten any incumbent director’s term. Directors must be individuals but need not be residents of the State of Tennessee, citizens or residents of the United States. Annual Meetings. Annual meetings of the Board shall be held each year on the third (3rd) Wednesday in January at 2:00p.m. or as soon thereafter as practicable. Unless the Charter provides otherwise, notice shall not be required to be given of the date, time or place of the annual meetings of the Board, nor of the purposes of such meetings. Regular Meetings. The Board, by resolution adopted by a majority of the full Board, may designate the place (which may be within or without the State of Tennessee), date, and time for regular meetings of the Board to be held more frequently that annually. Written or printed notice of such resolution shall be given to all directors within a reasonable time after the adoption thereof. Unless the Charter provides otherwise, notice of the date, time, place, or purpose of such regular meetings of the Board shall not be required to be given. Special Meetings. Special meetings of the Board may be called at any date, time and place, either within or without the State of Tennessee, by the President or by a majority of the Board. Notice meeting the requirements of these Bylaws, stating the place, date and time of such special meeting, shall be given by the Secretary to each director, at least two (2) days prior to the date of such meeting (unless the Charter provides for a longer or shorter period), but it shall not be necessary to describe in such notice the purpose of such special meeting unless required by the Charter or these Bylaws. Telephonic Meetings Permitted. Unless the Charter provides otherwise, the Board may permit any or all directors to participate in an annual, regular or special meeting by, or conduct such a meeting through the use of, any means of communication by which all directors participating may simultaneously hear each other during the meeting. A director participating in a meeting by this means is deemed to be present in person at the meeting. Action By Consent of Directors. Unless the Charter provides otherwise, any action required or permitted to be taken at a meeting of the Board may be taken without such a meeting if one or more written consents, describing and evidencing the action so taken, shall be signed by a majority of the members of the Board and included in the minutes or filed with the corporaterecords reflecting the action taken, with such action to be effective when the last director signs the consent, unless the consent specifies a different effective date. Such consent is to have the same effect as a meeting vote and may be described as such in any document. Quorum. Unless the Act or the Charter requires a greater number, a majority of the directors in office immediately before the meeting begins shall constitute a quorum for the transaction of business at any meeting of the Board, but if less than a majority is present at a meeting, a majority of the directors present may adjourn the meeting from time to time without further notice. Voting. Unless the Act of the Charter requires the vote of a greater number of directors, the affirmative vote of a majority of the directors present at a meeting at which a quorum is present when a vote is taken shall be the at of the Board. take any other actions which committees are prohibited from taking by the Act. The requirements of these Bylaws and the Charter governing meetings, action without meetings, notice and waiver of notice, and quorum and voting requirements of the Board, apply to such committees and their members as well. Compensation. No director shall receive any salary or other compensation for services as a director unless otherwise specifically ordered by the Board; provided, however, that nothing herein shall be construed to preclude any director from serving the Corporation in any other capacity and receiving compensation therefore. Removal. Any one (1) or more of the directors elected by the Board may be removed by two-thirds (2/3) vote of the Board, either with or without cause, but only at a meeting of the Board called for that purpose, with the notice of the meeting being required to state that the purpose, or one of the purposes, of thw special meeting is consideration of the removal of the director or directors. If, at the beginning a director's term on the Board, the Charter or these Bylaws provide that the director may be removed for missing a specified number of Board meetings, the Board may remove the director for failing to attend the specified number of meetings but only if a majority of the directors then in office vote for such removal. Resignation. A director may resign at any time by delivering written notice to the Board, its Chairman, the President or the Secretary. As resignation is effective when the notice thereof is effective in accordance with Article XII of these Bylaws unless the notice specifies a later effective date. Purpose of Committees. The general purpose of the committees is to direct the operation of specific activities of the Corporation as defined by these Bylaws or at the director of the Executive Committee and the Board of Directors. The specific purposes and duties of the committees shall be determined by the President with the approval of the Board. Standing Committees. The Board may create Standing Committees as it may deem necessary to promote the purposes and carry on the work of the Corporation, including but not limited to an Executive, Fundraising, Nominating, Bylaws, and Volunteer Committees. Committee Chairperson Qualifications. All Committee chairpersons shall be Directors of the Corporation. Committee Membership. The membership and chairpersons of committee shall be appointed by the President with approval of the Board unless specified elsewhere in these Bylaws. Contracts. The Board may authorize any officer or officers, agent or agents, to enter into any contract or execute and deliver any instrument in the name of and on behalf of the corporation, and such authority may be general or confined to specific instances. Loans. No loans shall be contracted on behalf of the corporation and no evidences of indebtedness shall be issued in its name unless authorized by a resolution of the Board. Such authority may be general or confined to specific instances. Checks. Checks, drafts, or other orders for the payment of money, notes or other evidences of indebtedness issued in the name of the Corporation shall be signed by such officer or officers or representative or representatives of the Corporation as the Board, by resolution, shall designate. Deposits. All funds of the Corporation, not otherwise employed, shall be deposited from time to time to the credit of the Corporation in such banks, savings institutions, trust companies, or other depositories as the Board, by resolution, may select. Funds. The Corporation shall raise funds through means approved by the Board. The annual accounting period and taxable year of the Corporation shall end on December 31st, unless otherwise changed by appropriate resolution of the Board. There shall be no corporate seal of the Corporation unless otherwise approved by appropriate resolution of the Board. Applicability. Any notice required by the Act, the Charter, these Bylaws, or otherwise, to be given to any director, officer or member of the Corporation shall be governed by and given in accordance with the requirements of this Article XII of these Bylaws, unless the provisions of the Act, the Charter, or other statutes or any other provision of these Bylaws applicable to particular circumstances prescribe different notice requirements for such particular circumstances, in which event such notice shall be governed by and given in accordance with such other notice requirements. Delivery. Any notice so required to be given shall be in writing unless oral notice is reasonable under the circumstances. Notice may be communicated in person; by telephone, telegraph, teletype, or other form of wire or wireless communication; or by mail or private carrier; if these forms of personal notice are impractical, notice may be communicated by a newspaper of general circulation in the area where published or by radio, television or other form of public broadcast communication. Effectiveness. Oral notice is effective when communicated if communicated in a comprehensible manner. Written notice, if in a comprehensible form, shall be effective at the earliest of the following: (a) when received; (b) five (5) days after its deposit in the United States mail, as evidenced by the post mark, if mailed with first-class postage affixed and correctly addressed; (c) on the date shown on the return receipt, if sent by registered or certified mail, return receipt requested, and the receipt is signed by or on behalf of the addressee; or (d) thirty (30) days after its deposit in the United States mail, as evidenced by the postmark, if mailed correctly addressed and with other than firs-class, registered or certified postage affixed. Written notice is correctly addressed to a director if addressed to the director’s address shown in the Corporation’s current list of directors. A written notice of report delivered as part of a newsletter; magazine or other publication regularly sent to directors shall constitute a written notice or report if addressed or delivered to the director’s address shown in the Corporation’s current list of directors, or in the case of directors who are residents of the same household and who have the same address in the Corporation’s current list of directors, if addressed or delivered to one of such directors at the address appearing on the current list of directors. Written notice is correctly addressed to a domestic corporation or foreign corporation authorized to transact business in the State of Tennessee, if addressed to its registered agent at its registered office or to its secretary as its principal office as shown in its most recent statues report or, in the case of a foreign corporation that has not yet delivered a status report to the Tennessee Secretary of State, in its application for a certificate of authority. Written Waivers. Whenever any notice is required to be given to any director, officer or member of the Corporation by the Act or any other statute, the Charter, these Bylaws, or otherwise, such person or persons may waive any such notice. A waiver thereof must be in writing, signed by the person or persons entitled to such notice (whether before or after the date and time stated in the notice), and delivered to the Corporation for inclusion in the minutes or filing with the corporate records. Waiver by Attendance. A person’s attendance at or participation in, a meeting thereof, as the case may be, waives such person’s objection (a) to lack of any required notice of a defective notice of the meeting, unless such person, at the beginning of the meeting or promptly upon his arrival, objects to holding the meeting or transacting business at the meeting and does not thereafter vote for or assent to action taken at the meeting, and (b) to consideration of a particular matter at the meeting that is not within the purposes described in the meeting notice (if the purposes are required to be described in the notice), unless such person objects to consideration of the matter when it is presented and does not thereafter vote for or assent to action taken with the respect to the matter. Unless the Act, the Charter, these Bylaws, the Board require a greater vote or voting by class, an amendment to the Corporation’s Bylaws must be approved by the Board, but a majority vote of the votes cast, in order to be adopted. Minutes. The Corporation shall keep as permanent records minutes of all meetings of the Board and members, a record of all actions taken by the Board without a meeting, and a record of all minutes of and actions taken by committees of the Board in place of the Board on behalf of the Corporation. Accounting And Financial Records. The Corporation shall maintain appropriate accounting and financial records. Written Form. The Corporation shall maintain its records either in written form or in another form capable of conversion into written form within a reasonable time. its most recent status report required under the Act and delivered to the Tennessee Secretary of State. Each director and officer of the corporation now or hereafter serving as such, shall be indemnified by the Corporation against any and all claims and liabilities to which her or she has or shall become subject by reason of serving or having served as such director or officer, or by reason of any action alleged to have been taken, omitted, or neglected by him or her as such director or officer; and the Corporation shall reimburse each such person for all legal expenses reasonably incurred by him or her in connection with any such claim or liability, provided, however that no such person shall be indemnified against, or be reimbursed for any expenses incurred in connection with, any claim or liability arising out of his or her failure to discharge his or her duties in accordance with his or her good faith belief that he or she is acting in the best interest of the corporation. Emergency Defined. An emergency exists for purposes of this Article XV of these Bylaws if a quorum of the Board cannot readily be assembled because of some catastrophic event. Emergency Bylaws. Unless the Charter provides otherwise, the Board may adopt other bylaws to be effective only in an emergency. These emergency bylaws may provide special procedures necessary for managing the Corporation during an emergency (including, but not limited to, procedures for calling a meeting of the Board or members; quorum requirements for a meeting; and designation of additional or substitute directors). All provisions of these regular Bylaws consistent with any such emergency bylaws remain effective during the emergency. The emergency bylaws are not effective after the emergency ends. Emergency Powers. In anticipation of or during an emergency, the Board may modify lines of succession to accommodate the incapacity of any director, officer, employee or agent and relocate the principal office, designate alternative principal offices or regional offices, or authorize the officers to do so. During an emergency, unless emergency bylaws provide otherwise: notice of a meeting of the Board need be given only to those directors whom it is practicable to reach and may be given in any practicable manner, including by publication and radio; and one (1) or more officers of the Corporation present at a meeting of the Board may be deemed to be directors for the meeting, in order of rank and within the same rank in order of seniority, as necessary to achieve a quorum. Binding Effect. Corporate action taken in good faith during an emergency, either under any such emergency powers in order to further the ordinary activities of the Corporation or in accordance with any emergency bylaws adopted by the Board, shall bind the Corporation and may not be used to impose liability on a director, officer, employee or agent of the Corporation. If any provision of these Bylaws or its application to any person or circumstances is held invalid by a court of competent jurisdiction, such invalidity shall not affect any other provisions or applications of these bylaws that can be given effect without the invalid provision or application, and, to this end, the provisions of these Bylaws are severable. The Chairman is authorized to sign all contracts on behalf of the USASF for values not to exceed $100,000 except those involving Varsity. (Unanimously approved by the USASF Board of Directors on April 20, 2006). The Executive Committee is authorized to approve contracts above $100,000 except for those involving Varsity. (Unanimously approved by the USASF Board of Directors on April 20, 2006). All contracts involving Varsity must be approved by the full Board of Directors. (Unanimously approved by the USASF Board of Directors on April 20, 2006). The full time USASF staff is authorized to handle day-to-day operations of the USASF according to a policy manual to be approved by the Board of Directors. (Unanimously approved by the USASF Board of Directors on April 20, 2006). All appeals must first be heard by the appropriate Standing Committee before Board involvement is initiated. 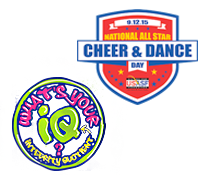 (Unanimously approved by the USASF Board of Directors on April 20, 2006).